Obituary for Lawrence James Leyshon | Cremation & Funeral Service by Gary S. Silvat, Inc.
On Sunday, September 2, 2018, Lawrence "Larry" James Leyshon, age 95, passed away at Christian House in East Palestine, OH. He was born in Youngstown, OH on May 18, 1923 to Harry J. and Mary M. (Jones) Leyshon. Larry is survived by his nieces, Elaine Diller of St. Louis, MO, Karen (Haven) Grittie of Ellsworth, OH, great-nephews, Rob Ramsey of Deerfield, OH, Jeff (Kira) Ramsey of Ellsworth, OH and Tim (Angie) Ramsey of Ellsworth, OH and numerous other great-great nieces and nephews. Larry grew up on the westside of Youngstown and graduated Chaney High School in 1940. 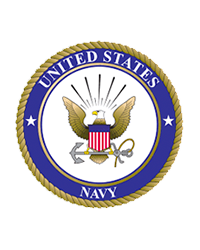 He honorably service his county in the United States Navy during both World War II and the Korean Conflict. After the wars Larry settled back home and gained employment with Packard Electric as a tow motor operator until his retirement in the early 1980's. During retirement Larry traveled extensively and had visited all fifty states. Beautiful Alaska was his favorite. It was in 2015 when Larry stopped traveling and no longer split his time between Ellsworth and Homossasa FL. Besides his parents Larry was precede in death by his wife Myrtle (Sylvester) Leyshon; his former wife, LeeAnna Kennedy; siblings, Reinette Diller, Arnold Leyshon and his faithful dog, Suzi. Larry will be buried with his parents in Lake Park Cemetery with Military Honors. Arrangements by Cremation & Funeral Service by Gary S Silvat Inc. Send condolences to Larry's family by visiting: www.cremateohio.com.